Relocating abroad to Portugal is a big decision to make and it’s important that you’re fully prepared for it. To help you with the move, we’ve created this guide with the all important information you need to know before making the leap and moving to Portugal. It’s not as easy as it sounds to move abroad, there’s a lot of things to know before you go. This guide was created to make things a little easier for you, by providing you with all the information you need to know about moving abroad to Portugal. Portugal is a sunny, lively and scenic European country, situated on the Iberian Peninsula. Portugal is viewed as an ideal relocation destination for many because of it’s stunning scenery, good food, culture, entertainment and favourable climate. Collectively, this attracts people from all over the world to start a new life filled with sun, sand and adventure in Portugal. It’s no surprise that so many people make the move and set up home in Portugal. The dreamy Mediterranean climate is certainly a big drive for those looking to relocate, but that’s not the only reason why so many people from all over the world choose Portugal to relocate to – Here’s a few reasons why people choose Portugal as their destination to set up home. Portugal was recently crowned one of the most welcoming countries for expats to live, it’s a country where you will feel valued and respected, regardless of how you look or where you’re from. When relocating to Portugal, there’s no need to worry about the possibility of not making new friends or not fitting in. There’s a great atmosphere in Portugal, created by the friendly and wholesome locals. They will make you feel at ease and welcome in their country, and this will set you off on a great start. Before you make the move to Portugal, it’s wise to make yourself aware of what the cost of living will be like. Cost of living will determine a lot of things, including how successful your relocation will or will not be. You’ll be happy to hear that cost of living in Portugal is considerably low, making expats more financially comfortable during and after the big move. The prices of things in Portugal are said to be lower than most major cities like London, Berlin etc. If you’re used to paying high rent/payments in one of these cities, you could be in for a treat when you move to Portugal. Most people that relocate abroad, expect the move to instantly give them a brand new start and a relaxed lifestyle, something that they aren’t used to having back at home. Some assume that this feeling will come no matter what location they choose to relocate to, but unfortunately this isn’t the case. Even some of the top relocation countries fail to offer a relaxed lifestyle for many expats. 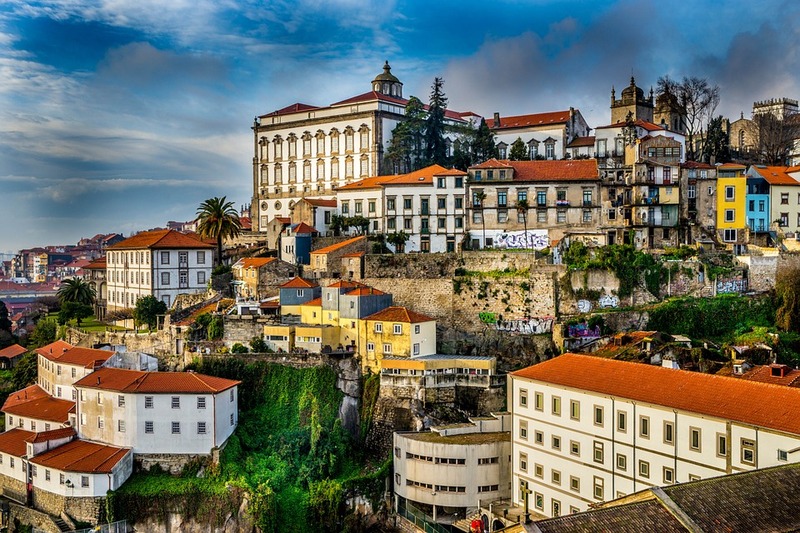 This sets Portugal apart from the rest, it’s a country where you can relax and enjoy life, it isn’t as fast paced as other relocation destinations. When looking for a country to relocate to, many people are often discouraged to relocate to most Northern European countries because traffic can be quite bad. However, compared to these countries, the traffic in Portugal is considerably good. Driving in a foreign country can be a challenge because of the unfamiliarity of the roads, as well as different rules and regulations that you will need learn quickly. As the roads in Portugal are much calmer, people feel more comfortable relocating here, as the calmer roads means they are able to get from A to B without a cloud of worry hanging over them. Lisbon is around 2700 years old. The first ever bookshop in the world was in Portugal. Vasco da Gama Bridge in Portugal is the longest bridge in Europe. Piri Piri sauce originated from Portugal. It’s the home of Port wine. If you plan on living in Portugal for a long period of time, you will need to find yourself a job in order to survive and indeed, to continue living in the country. Many people find this part of relocating to Portugal a little daunting, but it’s not as terrifying as it sounds. There’s a shortage of workers in many areas within Portugal, which makes it somewhat easier for most expats to gain work in the country. If you hold an EU passport when entering Portugal, you can start working almost immediately. On the other hand, if you don’t hold an EU passport, getting a job in Portugal is a bigger challenge and you will need to obtain a working Visa or a Portuguese residence permit. When you relocate to Portugal, you will need to set up a bank account as soon as you possibly can. This bank account is an essential part of your relocation, as you’ll need it for your wages and any payments that you will have. Opening a bank account in Portugal is rather similar to opening a bank account anywhere else in the world. You will need the required documents to prove your identity and your residency in Portugal. Also, at the moment, you might be used to overdrawing your account, which is fine. However, when in Portugal, you will need to avoid this as it is classed as a fraudulent offence. When it comes to relocating to Portugal, there’s lots of things you will have to do before you finally hop on the plane and wave goodbye to your home country. One thing that people don’t think too much about is how they will get all of their belongings to their new home in Portugal. There’s more than one way to transport your luggage to your new home in Portugal. It’s important that you’re aware of all the options available to your before booking anything. One of the most popular methods of transporting luggage for relocation abroad is hiring a international removals company. This shipping method is used most commonly by those who wish to have their exceptional large items with them in their new home abroad. Items sent through traditional removals are usually items that people don’t want to get rid of when moving to Portugal, this includes things like sofas, bed and even cars. If you intend on having any of these large items moved from your old home, to your new home, then this option will be ideal for you. However, there is a hefty price to pay on these services. This can make the service a little off-putting, and can result in many people not bringing any of the large items that they own, and opting for the cheaper option instead – buying new sofas and beds when in Portugal. When using this service, it’s important that you fully understand how it works. The price and length of delivery will depend on the type of removal service you are using, what you are sending and indeed, where the items are being shipped from. It’s important to be aware that some shipments via this method can take up to two months to arrive. Another fast way of transporting your stuff to Portugal is simply by checking them onto your flight. This is great as it allows you to have your bags with you at all times, but it can be a challenge having to carry all your heavy bags and boxes from the house to the taxi, then from the taxi to the airport and so on! Airlines are notoriously known for being an expensive way of transporting one or two suitcases abroad for a holiday, never mind sending absolutely everything you own. If you will be sending you belongings with your airline, do be aware of the high excess baggage fees that you could pay if you don’t pack smart! Luggage shipping companies have broken the mould and made shipping your luggage abroad an affordable and convenient process. 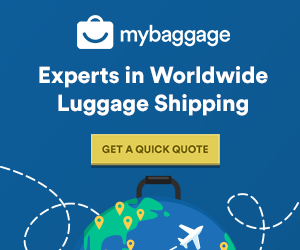 There’s a few luggage shipping companies out there for you to choose from. Not to toot or own horn or anything, but we’re pretty sure that our service is unbeatable – scroll down to find out why! My Baggage is a door-to-door luggage shipping company, providing a convenient, reliable and affordable removals service for those relocating to Portugal. We’re experts in shipping luggage to over 200 countries, across 1,000 routes. Our service is tried and trusted by a range of travellers, including expats, holiday makers, students, businesses and many more. My Baggage makes relocating abroad that little bit easier, by offering a helping hand and taking care of your belongings. Our job is to ensure that they get from your current home, to your new home in a safe and timely manner. Here at My Baggage, we pride ourselves in offering affordable services, allowing our customers to stay within their budgets when relocating abroad. We understand that moving abroad isn’t exactly cheap, there’s lots of things to pay for and this can all add up to a rather shocking amount. For this reason, you’ll want to save every pound that you can and we can help you do that, simply by shipping your luggage to your new home for a low-cost and allowing you to avoid out-of-budget removals and expensive excess baggage fees. We also offer a price match, so, if you get a better offer elsewhere let us know and we’ll try our very best to beat it! Stress is inevitable when relocating abroad, you won’t be able to avoid it completely, but you can reduce it. The convenient service that we offer here at My Baggage makes peoples lives that little bit easier. We’ve worked really hard to provide travellers with a service that they can trust and will continue to use, each and every time they travel abroad. We’ve got an easy-to-use online booking system, where you can pick a date that suits you best and select your preferred collection and delivery addresses. All of our services are door-to-door, meaning we can collect your belongings from your old home and deliver them to your new home. When sending almost everything you own to your new home, it’s completely normal to feel a little apprehensive. There will be lots to bring and the thought of damaging or loosing anything can be a little worrying. Here at My Baggage HQ, we have a great team of experienced Customer Service Advisers to help put you at ease when using our service. If you have any questions, or need any help during any stage of the booking, please do get in touch! We’re contactable via telephone, email and live chat. Convenient door to door collection and delivery services. Full online tracking with text and email notifications. International shipping to over 200 countries, across 1,000 routes worldwide. Fast transit times – express services available on many routes. Packaging your items for your My Baggage shipment doesn’t have to be difficult, there’s not many rules around it. Simply send your items in either strong suitcases of doubles-walled cardboard boxes. Please note that our packaging is not covered under our compensation cover, which is why we advise against using expensive or fragile suitcases. With regards to boxes, it’s a good idea to invest in a brand new box, as it will be sturdier and most durable and suitable for transit. It’s likely that your amongst other things, your shipment will contain fragile or delicate items and if this is the case, it’s advised that you take time to package these items securely with internal packaging, using materials such as bubble wrap or newspapers. When you book with My Baggage for your relocation abroad, you’re given the freedom to send almost everything you own to Portugal all at an affordable price. However, there is restrictions on what you can and cannot send on our services, this is solely for security and customs purposes, and is standard with most luggage shipping companies. You should also be aware that there is also some items that can be sent on our services but will not be covered under compensation cover. If you still wish to send any of these items, you will be doing so at your own risk. When sending any non-compensation items, please ensure they are packaged appropriately, with plenty of internal packaging, such as bubble wrap and newspaper. 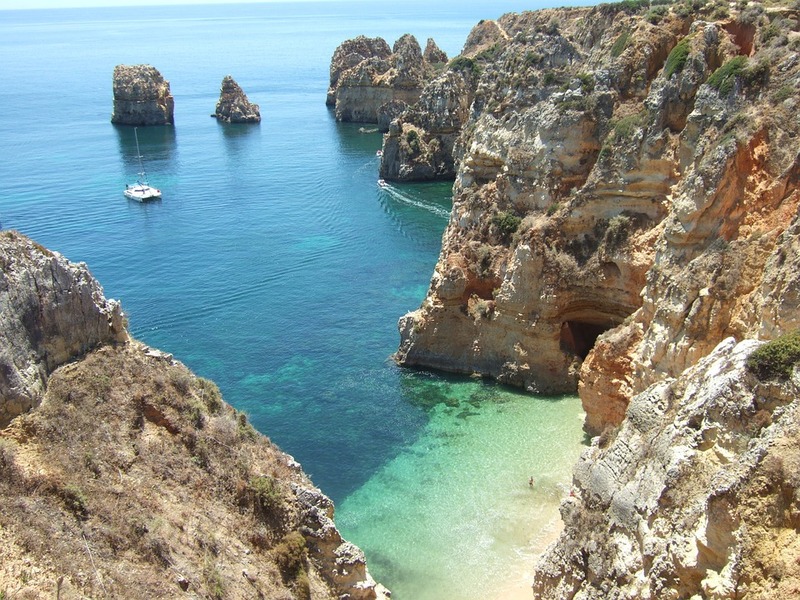 Please note that import allowances, security and customs processes differ all around the world; we recommend that you do your own personal research into what may be prohibited in your destination country before booking your shipment to Portugal. When you ship items from the U.K to Portugal, your belongings will not need to pass through customs clearance, meaning they are not subject to import tax or duty. However, if you plan on sending your belongings to Portugal from a country outside of the European Union, then will need to complete a customs invoice and attach this to your shipment. This is a legal requirement and if it’s not met, your belongings will be returned. Many My Baggage shipments go through customs on a daily basis and they generally clear customs in a timely manner, free from duties and taxes, as most countries offer a generous duty-free allowance for personal effects. However, customs processes and allowances can differ depending on the countries you are sending your belongings to and from, and because My Baggage has no control over any decisions made. For this reason, we strongly recommend you to take the time to research Portuguese customs regulations and quarantine in depth before making a booking to Portugal. Making yourself aware of potential customs duties in Portugal and by following any and all advice provided by customs directly could mean that your shipment will arrive in to your new home on time, with no delays. Filling in your customs documents correctly and clearly is extremely important if your shipment requires them. In order to demonstrate that your shipment consists of personal effects, you will be required to accurately describe each item included in the package, being brief in your description could result in delays. Making a booking with My Baggage is quick and simple, thanks to our easy-to-use online booking system! Booking takes only a few minutes and before you know it, you’ll have all of your belongings delivered to you at your brand new home in Portugal – It’s the stress free and cost-effective way to get all of your much loved possessions to Portugal.
. . . A Step By Step Guide . . . Step 1 – Start your booking with My Baggage by entering your current location and desired destination into the ‘Get a quote’ box below. Step 3 – You will then be asked to simply fill in your details. For this, you will have to know the addresses for both your pickup and destination locations. Step 4 – Pay for your shipment to Portugal. Step 5 – One your booking has been complete, we will email you some labels. Step 6 – You will need a printer to print off the labels we have sent you and then you will need to attach them securely to your shipment. Step 6 – A driver will then arrive on your collection date and pick up your suitcases/boxes. Step 7 – We will then deliver them directly to your brand new home in Portugal, in just a few days!